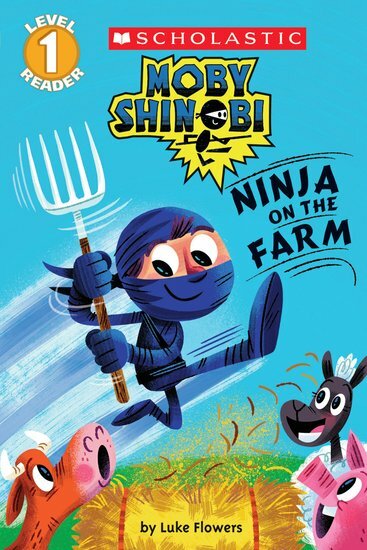 Say hello to the planet’s cutest ninja – helpful hero Moby Shinobi! Psst – don’t be scared of him. He might be a warrior, but his ninja tricks are all about having fun, not having fights. In this first story from his cute/funny series, Moby is off to the farm. Fresh air, fresh eggs, fresh farmyard smell (ugh): what could be better? But – oops! Moby’s ninja skills aren’t quite right for feeding pigs or finding eggs. Will they be just the job for stopping a herd of runaway cows?